GPS technology is being used in the Ozark foothills to help emergency responders. Frank Wideman, a natural resource engineer at the University of Missouri, teaches the responders how to use GPS technology to provide faster emergency services in Madison and Iron counties. The GPS technology is being used to help the volunteer firefighters locate the 300 local fire hydrants. A local Boy Scout troop worked with the town’s volunteers to locate and save the location information of all the fire hydrants in the Global Positioning System map. This is extremely helpful because it is hard for the volunteers to be able to know the exact location of all the fire hydrants in the area. 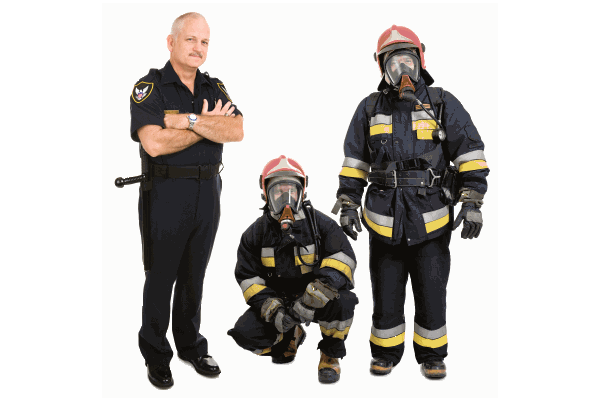 When the emergency responders are dispatched, the GPS location information is sent electronically to the firefighters. The information includes the emergency location, the nearest fire hydrants and individual fire hydrant information. The GPS technology system shaves off minutes of critical emergency response time because the volunteer firefighters are not stopping to ask residents where the hydrants are or searching through paperwork for fire hydrant locations. It is important that the fire fighters know where the fire hydrants are located because they need to quickly determine the length of the hose, the pumping capability and the type of connector needed. The information that was gathered by the local Boy Scouts about each fire hydrant includes the installation date and the manufacturer. This information is also helpful to officials for replacement and maintenance decisions. The GPS technology is also being used to help search and rescue teams find lost or stranded campers, hikers and boaters visiting the mountains. Many of the area’s steep canyon trails are only accessible by foot and are unlit. Cell phones send the GPS signals to the emergency dispatch team. Responders are able to find the people despite the darkness and rugged terrain. According to Democrat News, the GPS technology has cut search and rescue times by approximately 75%. Using the GPS technology for emergency responder services also saves property owners in the area money. The shorter response times in the event of a fire, lowers the Insurance Service Office ratings (ISO ratings). Risk experts rate the quality of the fire protection services in the area. The lower ISO ratings equal lower insurance premiums for the local property owners. When the GPS technology was implemented for emergency services in the Ozark foothills, the ISO rating decreased 3 points on a 10 point scale.